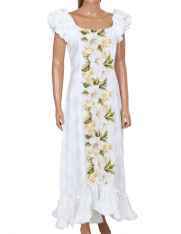 Shop for Hawaiian wedding dresses Hawaiian style. 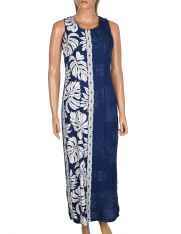 Choose from a selection of beach wedding dresses, bridesmaids dresses in a variety of beautifully handcrafted floral prints and Hawaiian themes with tropical short and long styles and sizes up to 4XL made in Hawaii. 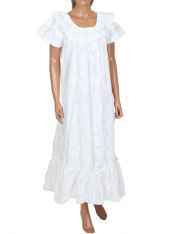 Perfect for beach weddings parties and brides maid attire. Please feel free to contact us if you have any questions. Beautiful, but runs very small and the pattern is front and back. 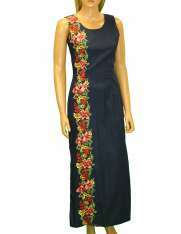 The color of this dress is beautiful, and I would have loved it, but it is way too small in the hips! I ordered a slightly larger size than I usually wear in a dress and it was still way too small. I recommend ordering at least one size larger--if not two! 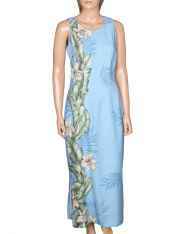 I was also not pleased that the orchid print does not run down only one side of the dress! It is also in the back. I called to order and received immediate help in making my decision. This beautiful muumuu arrived in 4 business days! I love it as it fits perfect and I do not have to hem it! I'm 5' 1" and usually have to hem dresses. 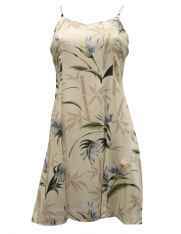 I'm happy with the muumuu and your great service! It's my second outfit from Shaka Time! This blouse is lightweight and hangs beautifully! I wanted a blouse that wasn't in-your-face Hawaiian and this is it. Works just as well for casual or for dressing up a pair of slacks. I bought 2 colors, and will be buying more.